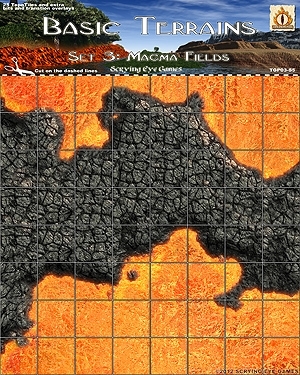 All of our Topo-Tile sets are designed to give you the biggest bang for your buck by making sure that you have modular, universal tiles that can be used over and over in all your games, instead of the simple one-time-only maps that many other companies are producing. Warning: This is a printed product that will be mailed to you! This is a hard-copy item that will be mailed to you. It is not a pdf product that you can download! It is your responsibility to make sure that you have given us your correct mailing address, so double check it before placing your order! 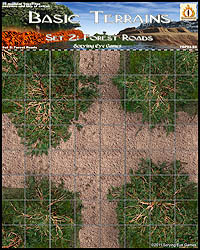 Generic Terrains 1: Sand, Grass and Water is for the gamer who needs extra open sections to extend their existing maps. This set gives you the ability to play out running battles, or to extend the usefulness of other sets the already own. You get of grass, water, and sand. 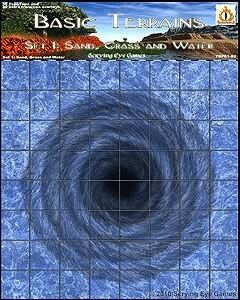 Five of the 8" tiles have extra features, such as a whirlpool, a sand pit, a skull dungeon opening, a tomb opening, and a sink-hole styled cave opening. 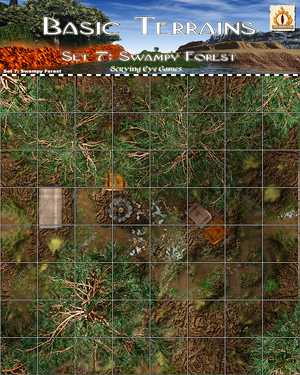 Basic Terrains 2: Forest Roads is for the gamer who needs extra open sections to extend their existing maps. This set gives you the ability to play out running battles, or to extend the usefulness of other sets the already own. You get 25 tiles of a forested area most of which have either 10' trails or 20' roads.. The top 2" strip accros the top are inteded to be cut off and used as overlays. 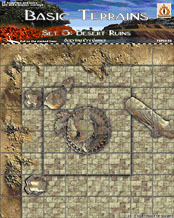 Basic Terrains 4: Desert Barrens is for the gamer who needs extra open sections to extend their existing maps. This set gives you the ability to play out running battles, or to extend the usefulness of other sets the already own. 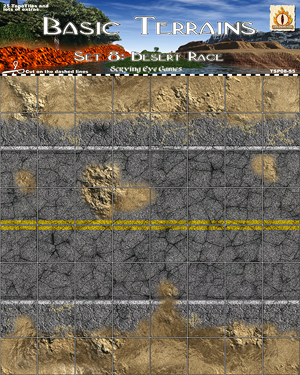 You get 25 tiles of a desert area with rocky outcrops, some containing specialized terrain. 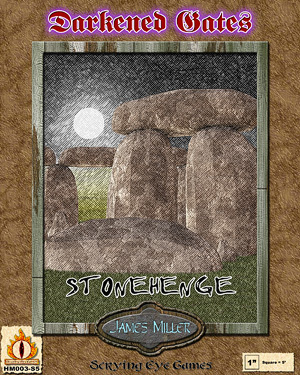 The top 2" strip across the top are intended to be cut off and used as overlays. Basic Terrains 5: Murky Marshlands can either be used by itself or tied to other existing (and upcoming) TopoTile sets. This set gives you the ability to play out running battles, or to extend the usefulness of other sets the already own. 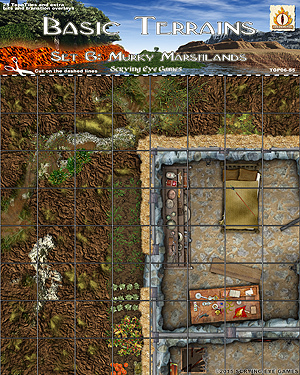 You get 25 tiles of a twisted marshy landscape, with a few other specialty tiles tossed in. The top 2" strip accros the top are inteded to be cut off and used as overlays. While this core set centers on fantasy extras, the upcoming expansion will include modern/apocalypse/sci-fi extras. 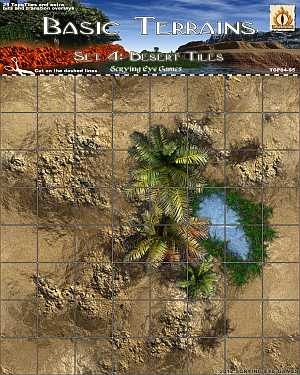 Basic Terrains 8: Desert Rage can either be used by itself or tied to other existing (like the Desert Tiles and the Desert Ruins) or upcoming TopoTile sets. This set gives you the ability to play out running battles, or to extend the usefulness of other sets the already own. You get 25 tiles of a twisted marshy landscape, with a few other specialty tiles tossed in. The top 2" strip across the top are intended to be cut off and used as overlays. While this core set centered on more fantasy and horror, this expansion is strongly modern/apocalypse/sci-fi. It is specifically designed to integrate with the Desert Ruins set for ruined buildings, and the upcoming Desert Apocalypse set for a apocalyptic fort. LOTS of cars, tractors/trailers, buses, motorcycles, trikes tokens.